Optical and radio tracking of space objects (especially satellites) Expertise: optical and radio space surveillance & tracking techniques, robotic SST prototype instruments integration and operation. Available testbeds: astronomical observatory and orbital radio sources tracking facility at 1.150 m altitude. 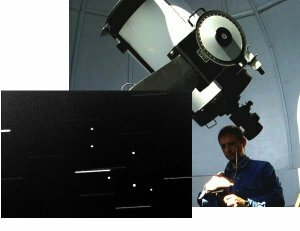 Typical instruments: small telescopes, very long baseline wide FOV stereoscopic imager for LEO objects, small radiotelescopes. Space weather Expertise: developmnent of passive radio instruments for ionospheric research. Cooperation interests Participation to international projects or provision of services in the field of space object surveillance and solar flares induced ionospheric disturbances. BITNET is contributing to Romania, ESA and NATO SSA related projects and activities. Several prototype instruments and services have been developed over the years. Services: we have experience in providing technical support in Romania for international satellite operators. Terminal installation, licensing, new data services testing and demonstration, propagation experiments. Cooperation interests: participation to international projects in the field of satellite telecom applications (digital divide, environmental data information systems, early warning, commercial applications, propagation experiments). 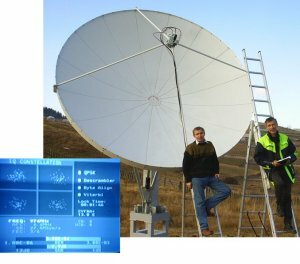 participation to international commercial satcom projects (an interesting project example 2006: the upgrade of the global satellite communication network that supports CTBT – the Comprehensive Nuclear-Test-Ban Treat).